While there are already a number of species named after famous British broadcaster and naturalist Sir David Attenborough, including mammals, reptiles, invertebrates and plants, both extinct and extant, not until now has the host of the BBC Natural History’s Life series been honoured with an amphibian. A new fleshbelly frog, recently discovered in the Peruvian Andes, is formally described as Pristimantis attenboroughi, while commonly it is to be referred to as the Attenborough’s Rubber Frog. The new species is published in the open-access journal ZooKeys. Scientists Dr. Edgar Lehr, Illinois Wesleyan University, and Dr. Rudolf von May, University of Michigan, spent two years (2012-2014) surveying montane forests in central Peru, in order to document the local amphibians and reptiles, and evaluate their conservation statuses. Their efforts have been rewarded with several new species of frogs and a new spectacled lizard. Each of these discoveries, including the Attenborough’s Rubber Frog, prove how beneficial it is to take into account both morphological and the genetic data, while looking for species new to science. For example, the authors report that when they spotted the P. attenboroughi frog for the first time, both of them were sure that they had found a species of another genus. The Attenborough’s rubber frog is known to inhabit several localities across the Pui Pui Protected Forest, a nature reserve located at elevations between 3400 and 3936 m a.s.l. in central Peru. The adult males reach size of 14.6-19.2 mm in length, while the females are larger measuring between 19.2 and 23.0 mm. Their ground colour ranges from pale to dark gray, or reddish brown to brownish olive with dark gray scattered flecks. Meanwhile, the juveniles are paler (yellowish to reddish brown) with contrasting dark brown flecks and distinct stripes. Due to the amphibian being known from fewer than ten localities, spread across less than 20,000 km2, the species should be deemed either Vulnerable or Endangered, according to the IUCN Red List Categories and Criteria. However, the authors suggest that the Attenborough’s Rubber frog should be listed as Near Threatened instead, since the Piu Piu forest is formally protected and still largely unknown, so it is likely that there are more additional populations of the new species. 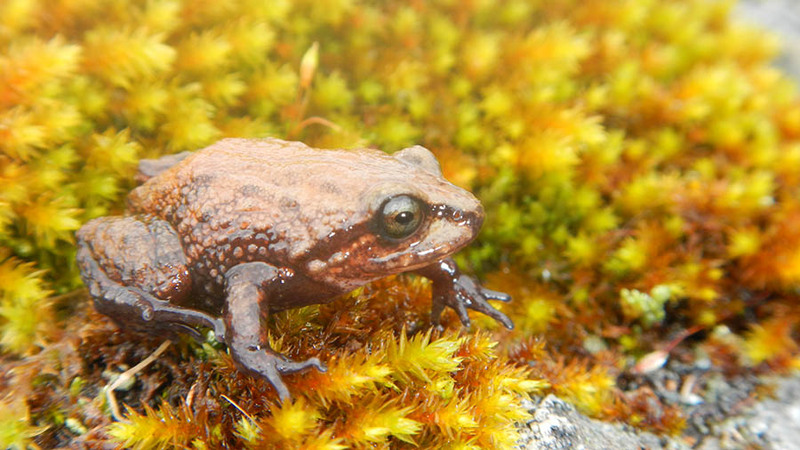 On the other hand, factors such as fungal infections, climate change, pollution, and man-made fires continue to be threats for many Andean amphibians even inside protected areas. “We dedicate this species to Sir David Frederick Attenborough in honor for his educational documentaries on wildlife, especially on amphibians (e.g., Life in Cold Blood, Fabulous Frogs), and for raising awareness about the importance of wildlife conservation,” explain the authors. 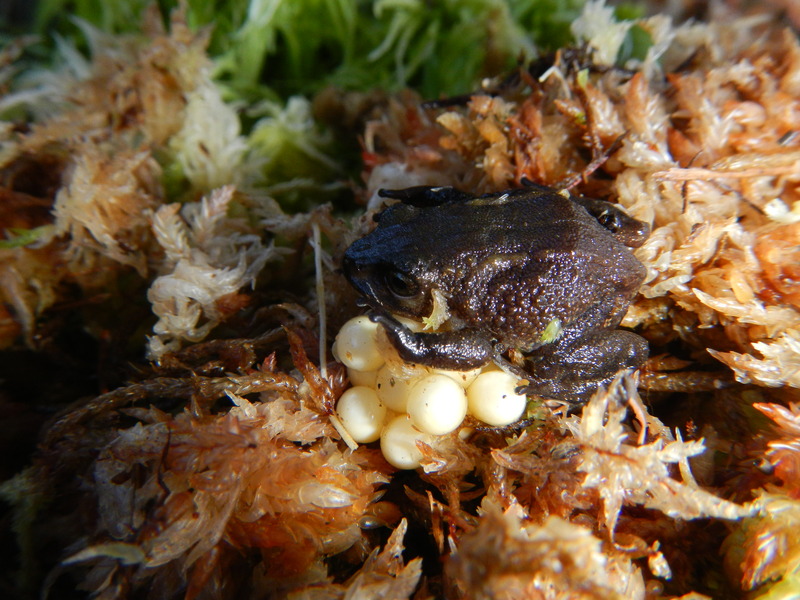 In the present study, the scientists note that there are more terrestrial-breeding frogs from the surveyed montane forests that will be described in the near future. Among the numerous namesakes of Sir David Attenborough to date, there are a rare genus of beautiful flowering plants, a rare butterfly species, commonly known as the Attenborough’s black-eyed satyr, a flightless weevil species, as well as a number of extinct species.